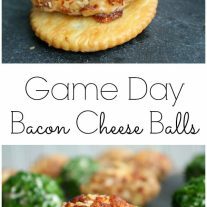 Game Day Bacon Cheese Balls - Home. Made. Interest. 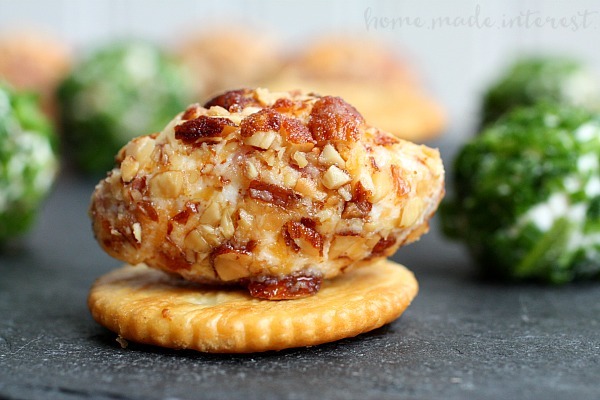 These easy Game Day Bacon Cheese Balls are made with bacon, cheese, and almonds for a creamy, crunchy, bacon-y game day appetizer! Alright guys, we are deep into football season and every weekend (and a lot of weeknights) is being spent watching footballs games with friends. Whether we are tailgating at a home game, or homegating in the comfort of our own living room snacks are always required and I love coming up with fun new recipes to try out on friends and family. 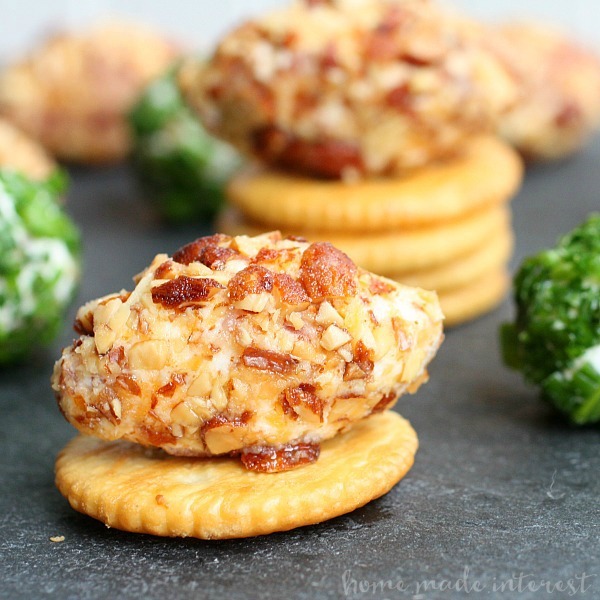 One of my favorite new recipes this season has been these football-shaped cheese balls. I made them for our last tailgating party and they were a total hit! Not only are they super cute (don’t tell my husband I said that!) but they are also filled with delicious bacon. I mean there isn’t really that is much better than bacon and cheese together…unless of course you roll it all in crushed salted almonds….These simple little cheese balls are so easy to make and they pack a whole lot of flavor in one bite. 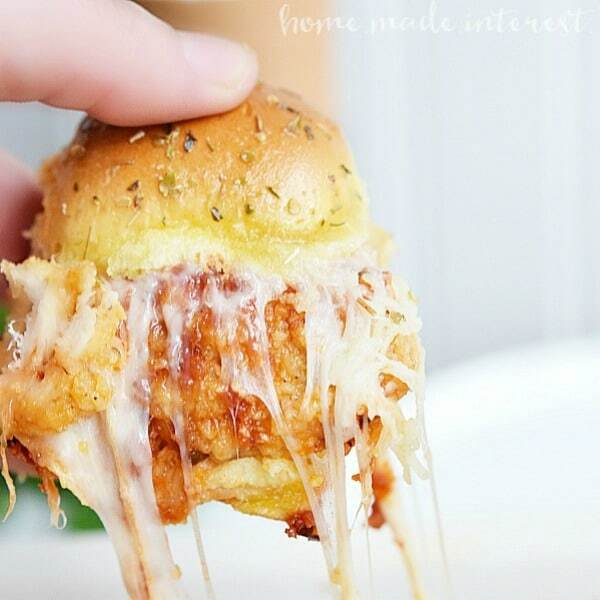 To make these all you have to do is combine cream cheese, shredded cheddar cheese, and bacon. Then roll the mixture into 1 inch balls and shape them into little footballs. Then roll the balls in chopped almonds. The added crunch puts these over the top. Yum! These simple game day cheese balls are easy game day appetizers that everyone will love! These tasty bites of cheesy, bacon-y goodness have been a big hit. You can eat them on their own or spread them on a cracker, either way they are going to be a winner on game day. 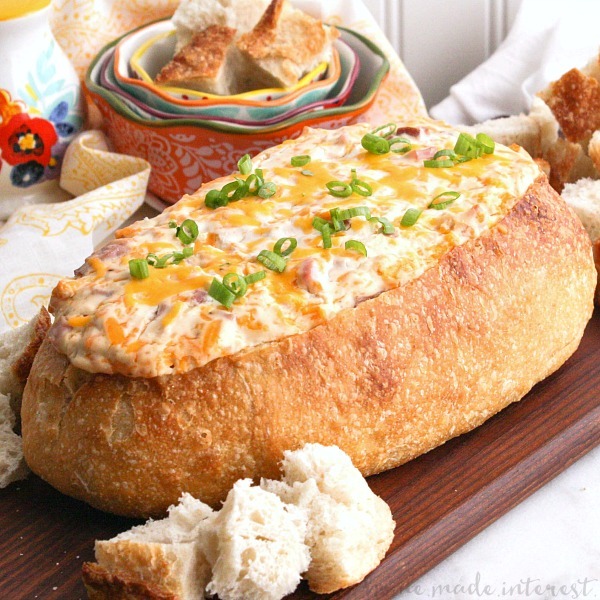 Looking for some more awesome Game Day recipes? Try these! Thanks so much Alice. That totally makes my day :).